Gomez Gardening is a family run business which offers landscaping and ground maintenance contracts for commercial businesses and gardening contracts for Domestic customers, giving a professional, friendly and reliable service. We are located in Basingstoke, Hampshire situated near the M3 and M4, so commutable to neighboring counties. 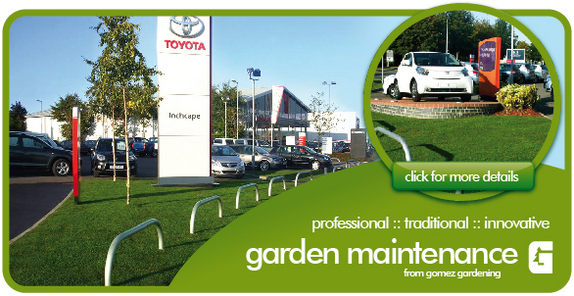 Our aim is to visit either your business premises regularly to maintain the grounds or your home, taking control of growing nature in the garden to a high standard and also at very reasonable costs, or if you are thinking of having your premise or garden re-landscaped, then we are able to help assist and put your thoughts into reality.